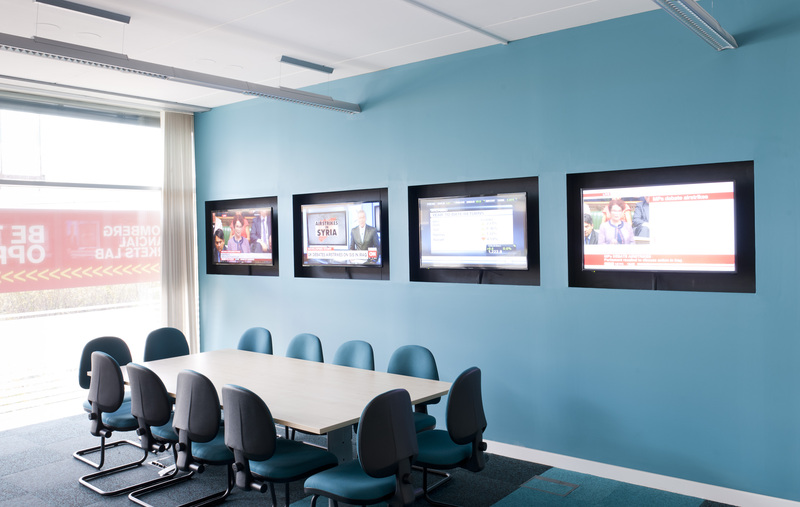 I would like to thank Barnes Interiors for the excellent service provided during the recent refurbishment of our teaching space into the Bloomberg Trading area here at ARU. Your input into the design of the entrance and of the entrance canopy was extremely useful and the way you fitted the work in around our difficult schedule of a working University was essential. I would highly recommend Barnes interiors, as you have always delivered a high standard of work, on time and provide excellent value for money. This project for Anglia Ruskin University involved converting an existing classroom into the “Bloomberg Financial Market Laboratory” on their campus in Chelmsford in Essex. 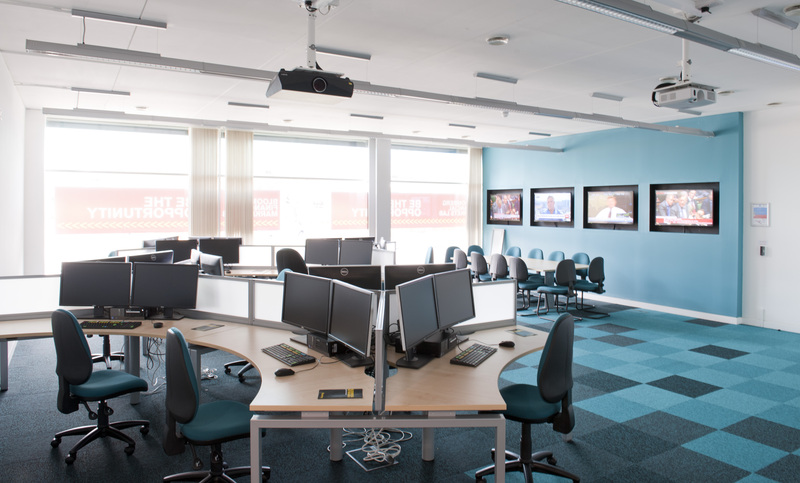 The new laboratory is designed for training students to work in the financial markets. Given the sponsor and the subject matter, it was important for the new classroom to have a high tech and high-quality finish. This included designer flooring and decoration and a large amount of electronics including wiring for computer terminals and projectors and the installation on a bank of monitors which were set into the wall cladding. 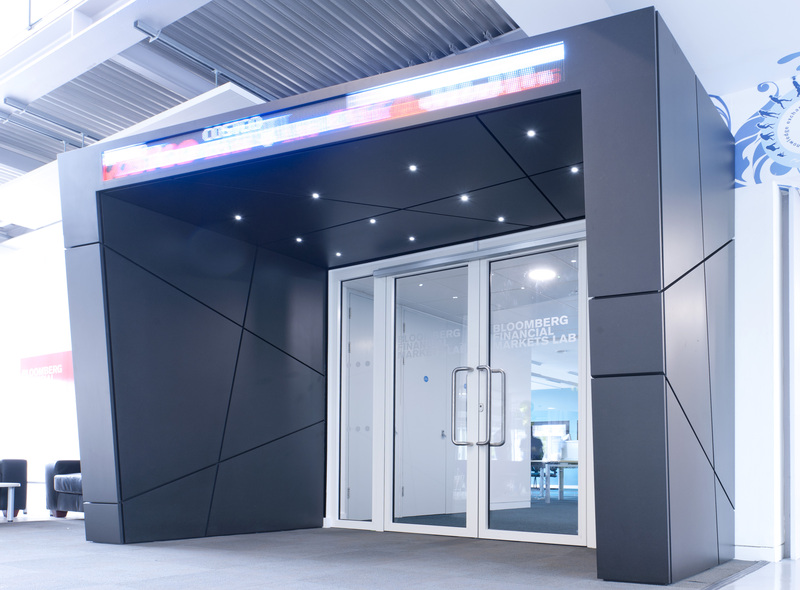 The biggest feature of this project was the bespoke entrance canopy with LED lighting and live feed ticker-tape display to show up to the minute information from the financial markets. 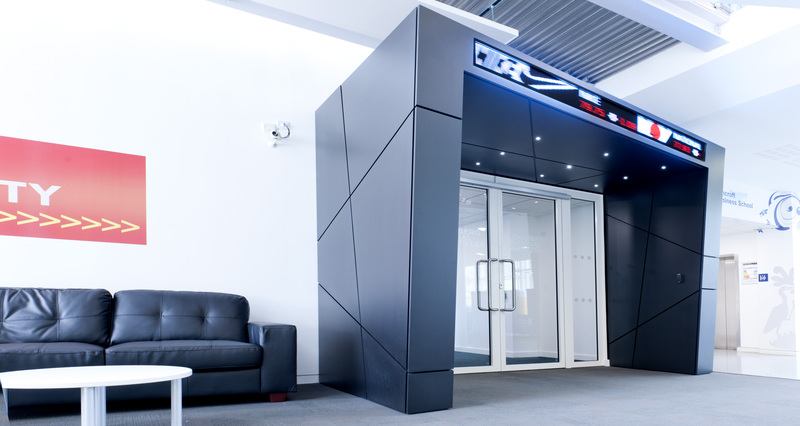 The entrance was finished off with automatically operated, fire rated entrance doors.